Over the years we`ve seen some of the best yachts at Valletta Grand Harbour using the facilities provided in the Grand Harbour Marina. In the past few weeks “Aviva”, one of the 100 largest Super Yachts made her way into the Valletta Grand Harbour. The yacht berthed at Palumbo Super Yachts for 19 days between on 17th February until 8th March. Coordination of this whole operation was a joint effort of our Agency and Freight Forwarding teams who thrived to provide a smooth efficient service to the Master and crew of the Aviva. 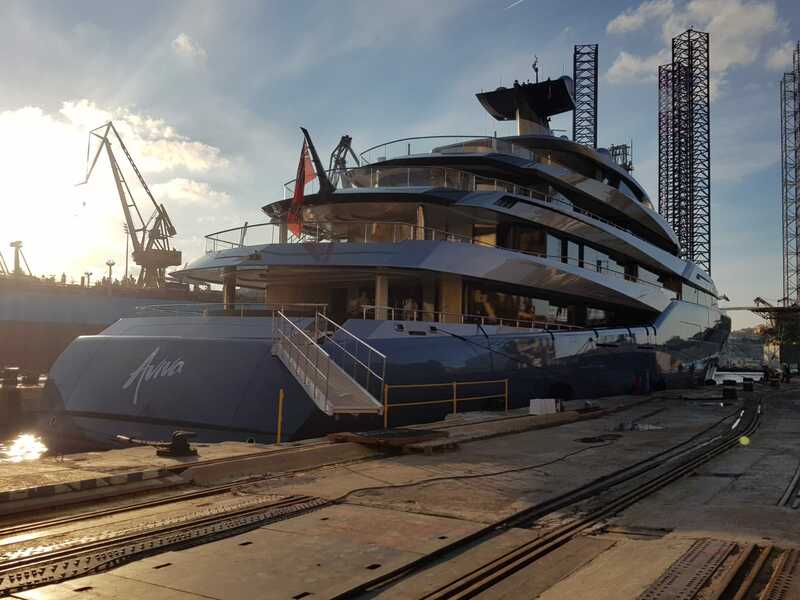 Aviva, being over 98-metre long, can easily be defined as a masterpiece. The yacht was built by Abeking & Rasmussen in 2017, and offers accommodation for up to 12 guests in 6 suites. She is also capable of carrying up to 35 crew on-board to ensure a relaxed luxury yacht experience. Aviva's main feature is an indoor, full-sized padel tennis court stretching across a length of 20 meters and a width of 10 meters, the court area goes up 6.65 meters high.